As I’ve given you a heads up in the previous post, there is now an iOS app for OpenSprinkler called SprinklerAce, developed by Michael at FeedFriendly.com. 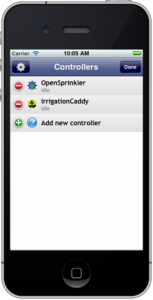 I know many people have requested an OpenSprinkler mobile app. I haven’t been able to split time to work on it myself. I am happy that Michael went ahead and wrote the first version. Here I will give a brief overview of the app. For details please refer to the SprinklerAce website. SprinklerAce is extended from its previous version called IC Sprinkler, which was dedicated to the IrrigationCaddy. 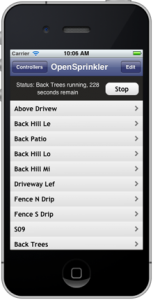 IrrigationCaddy is another Internet-based sprinkler controller on the market. It has nice polished UI design, but on the other hand it’s closed-source, has no LCD display, no support for extension board, and a limited set of three programs. Well, what I am trying to say here is that OpenSprinkler is better, more flexible, and actually comes at a lower price tag :). Michael made a clever choice to extend the app to support both OpenSprinkler and IrrigationCaddy, so the same app can be used for both. Once installed, you will see the SprinklerAce app on your iOS desktop. The app is pretty self-explanatory and simple to use. Below I am going to mix screenshots captured on my iPad and those from the app website. The homepage shows a list of the current controllers. You can add a new controller by providing a name, ip address, port number, and password. You don’t need to input UserName because OpenSprinkler does not require that. You can add many controllers: for example, you may have more than one controller units, or you may create one with internal ip and one with external ip so that you can use it both at home and remotely. Once you click on a specific controller, it will show the list of stations. If you have defined custom station names, they are also supported here. 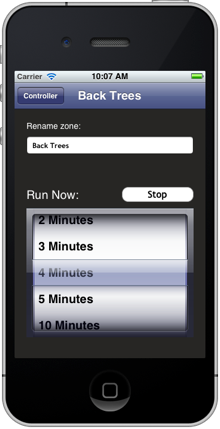 The app is currently designed to only manually open and close stations with a specified amount of time. Basically it makes use of the OpenSprinkler’s manual operation mode to control sprinkler stations. Program mode is not supported yet, so you won’t be able to add/modify/delete programs in the app (you need to use a web browser to perform program changes). It is mainly used for manual control and troubleshooting purposes. Once a station is turned on, the homepage will show running status and display the remaining water time. Internally the app reads back the OpenSprinkler homepage once every 5 seconds and makes use of the returned data to update its status accordingly. This is somewhat similar to how Dave’s logging script works. 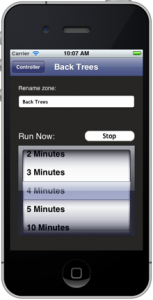 For example, if the controller is running a normal program schedule, you will be able to see the station status and remaining time in the app. Anyways, if you are interested or cannot live without an app :), feel free to give it a try. The app is now available in Apple store and supports both iPhone and iPad. DISCLAIMER: FeedFriendly.com is an independent company and is not associated with Rayshobby LLC by any means. If you encounter any problem using the app, or has comments/suggestions, please contact them directly. Hi everyone, Christmas is coming in a few days, and soon we will be entering the year 2013. I figured this is time that I post about recent progress on OpenSprinkler. Sorry that I haven’t blogged for a while. Various projects have been keeping me busy. I am excited to post and talk about the details of these new projects in the near future. Anyways, what’s new at Rayshobby shop in the past month or so? Sale Update. A few weeks ago we’ve just shipped the 600th OpenSprinkler. The sale really starting going up quickly ever since the Bay Area Maker Faire this year. I am hopeful that by the end of spring next year we will reach the 1000 mark. That would be awesome :). With a growing community of users, I’ve also started seeing people contributing to this project, including feature testing, debugging, writing scripts and mobile apps (see below). I am really thankful to everyone who supported and contributed to this project. iOS/Android App. I’ve been holding back on developing an iOS or Android app for OpenSprinkler, partly because I am not familiar with programming mobile apps, and partly because the OpenSprinkler’s web interface is already functioning on mobile devices through their web browsers. But I do agree that a dedicated app would look much more appealing and make the product stand out. 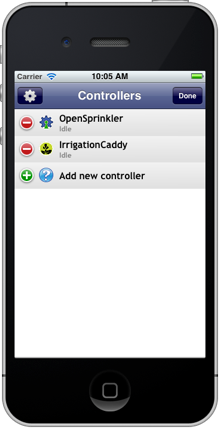 Fortunately the folks at FeedFriendly.com have developed an iOS app for OpenSprinkler called SprinklerAce. I’m quite excited and I’ve already seen the pre-release version of it. 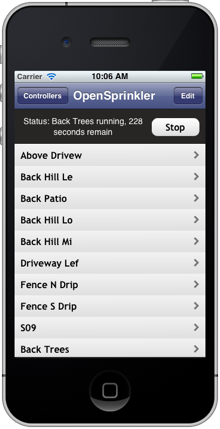 The app is extended from the previous version, which was dedicated to the IrrigationCaddy. It makes use of the manual operation mode on OpenSprinkler to directly control station valves. It’s currently undergoing the Apple Store approval process. I will make a separate post about it once it becomes available. Stay tuned! Hardware Revision. 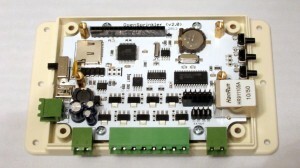 The latest hardware version is 1.4, and we still carry both the full-assembled products (1.4s) as well as the DIY kits (1.4u). 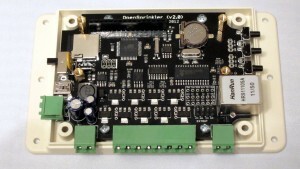 A while back when the last batch of DIY kits sold out, I was considering discontinuing it and start carrying semi-assembled kits, similar to the OpenSprinkler extension boards. But due to the popular requests from users, I decided to still offer the DIY kits, not only because its price is significantly lower than the fully-assembled versions, but also because many people enjoy the process of building a kit regardless of the price. In October 2012, I made some minor revisions to both 1.4u and 1.4s, mainly to improve the reliability of the power conversion circuit. Again, the hardware design is pretty much stable and I do not anticipate any major changes to it. Also, I’ve been working with SeeedStudios to make a injection-molded case for OpenSprinkler. I’m quite excited because this is the first time I’m working on an injection-molded case. The folks at Seeed are awesome and very helpful. I will certainly learn a lot through the process. They both look gorgeous, but I personally prefer the black version because the dark background looks really cool. Feel free to let me know your preference/opinion. In addition to upgrading the microcontroller and adding the microSD card slot, I’ve also changed more components to surface mount packaging to facilitate manufacturing, and adding support pillars for the 16×2 LCD. Again, this is just a hardware prototype, I haven’t started working on the software code yet. The final version will also have to be designed together with the new case. So a lot of things need to be orchestrated before its release. Upcoming New Products. As I mentioned above, I’ve been working on several new projects. 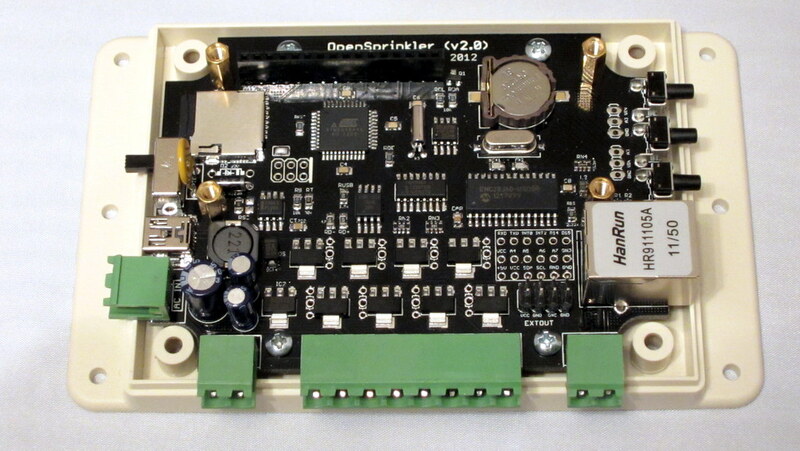 Among which there is the OpenSprinkler Bee, which is an open-source controller for battery-operated sprinnkler valves. I already have a prototype and have demonstrated it at Maker Faire. I am working on making the kits ready soon. Another product is a controller for watering indoor plants. It has built-in humidity, temperature, and light sensors, and will interface with a compact water pump to automatically water plants for you. I’ve temporarily named it OpenSprinkler Sip. This is a very exciting project that I hope to blog about soon. All right, so much for the end-of-the-year OpenSprinkler Update. I hope everyone have a Merry Christmas, and see you again in 2013!